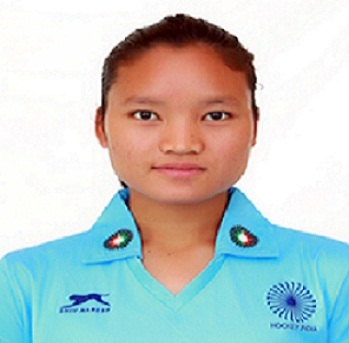 Indian striker and the youngest among team India women’s hockey team Lalremsiami has appealed to the people of Mizoram to pray for team India in their quest for glory in Asian Games women’s hockey final. Team India is slated to take on Japan in the final of the Asian Games women’s hockey final later on Friday at 6:30. Lalremsiami, the first ever person from Mizoram to qualify for Asian Games gold medal bid has appealed to all the people and churches of Mizoram to stand by her in prayers so that India win the yellow medal. “Team India is close to winning the gold medal. India has been waiting for women’s hockey gold medal since 1982. The Nation comes first for me and at the same time achieving this feat will create a new chapter for Mizoram. It will be the first time an Asian Games gold medal reaches Mizoram,” Lalremsiami said. “Japan will be a tough opponent, but then if Team India can manage to play our normal game we have better chance of winning the gold,” she added. Siami, as she is fondly called by her teammates, is believed to be the brightest prospect in Indian hockey. She was awarded ‘the Under-21 rising star award’ at the 2018 Asian Champions Trophy, where she played a total of 31 minutes in five matches and scored two goals, helping India win silver. Her campaign in the ongoing Asiam Games has been very successful so far. She scored a hat-trick against Kazakhstan and has appeared in all the games India has played so far.